Washington County’s wildflower-spangled crossroads lead to Texas history, art and tasty treats. Brenham has added a little hip to its quaint get-a-along. 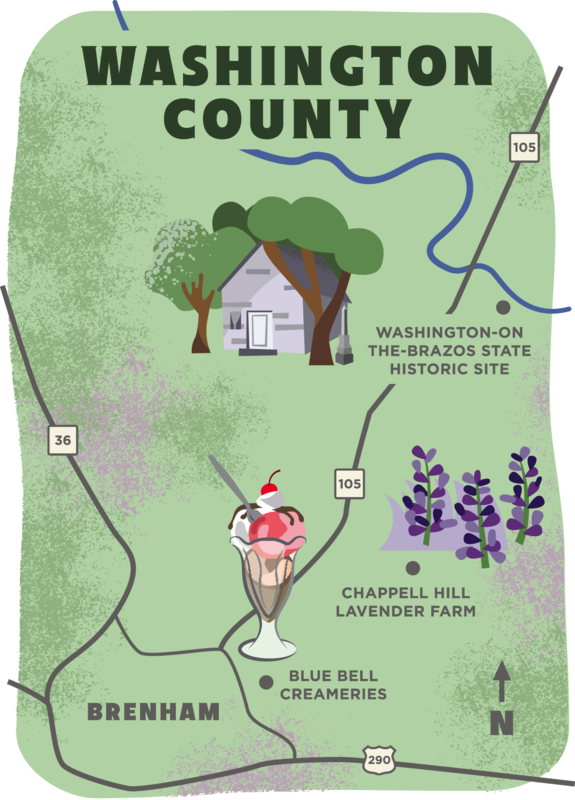 The Washington County seat, between Austin and Houston, is known for its historical touchstones, antiques, ice cream and wildflowers, but a bubbling food, live entertainment and arts community is providing a little juice to the local pace. On a cool Saturday morning, things are cooking at Truth Barbecue on the town’s edge. Post oak smoke wafts on a light breeze. At intervals, a Truth staffer fetches homemade sausage or turkey breasts from a front-yard smoker and disappears back inside as a ragged line of hungry customers starts stretching toward the highway. The celebrated Truth, launched in 2015, is part of the state’s burgeoning barbecue-as-a-travel-stop trend. Matt Molter, an Austin engineer and first-time Truth customer, rose at 7 to drive to Brenham with pals John Budd and Morgan Yung, arriving at 9 to claim first-in-line honors. Seated in a lounge chair, Molter says he plans to order “everything” and take some of the bounty home. Yung says they got here extra early to make sure they scored ribs as well as brisket. 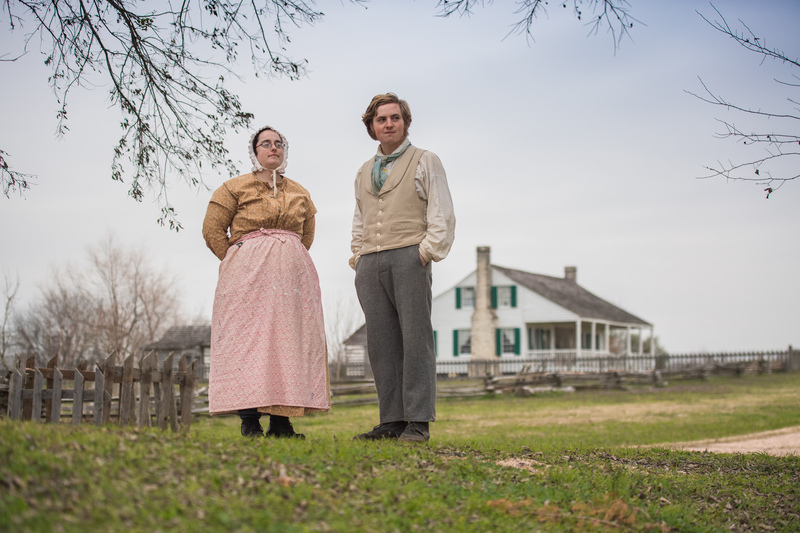 Historical re-enactors make the past come alive at Washington-on-the-Brazos. Blue Bell is going strong again after a 2015 crisis. Two days earlier, Far View Bed and Breakfast co-owner Steve Zoobkoff perched on a ladder in the parking lot giving his enormous RV a good wash. Zoobkoff, a former IT manager who purchased Far View 11 years ago, frequents nearby Lake Somerville State Park and Trailway for quick respites. The lake’s 85-mile shoreline surrounds 11,630 acres of water, with an ample supply of bass, crappie and catfish. Far View, perched on two dramatically landscaped acres, is a Recorded Texas Historic Landmark designed by Houston architect Alfred C. Finn. The early 20th-century prairie style house, built in 1925, was later converted for hospitality use. Other Finn works include the Simon Theatre (1925) downtown — still used for special events — and the local country club, as well as La Porte’s San Jacinto Monument. A Far View breakfast on day two provides the opportunity to break biscuits with the geocaching team of Tom Brotherman and Cheryl Drake from Selma, just northeast of San Antonio. Brotherman, president of the Texas Geocaching Association, Drake and about 200 of their fellow geocachers are visiting for a weekend roundup. In geocaching, participants use a GPS device to hide and seek containers throughout the world at specific locations marked by coordinates. 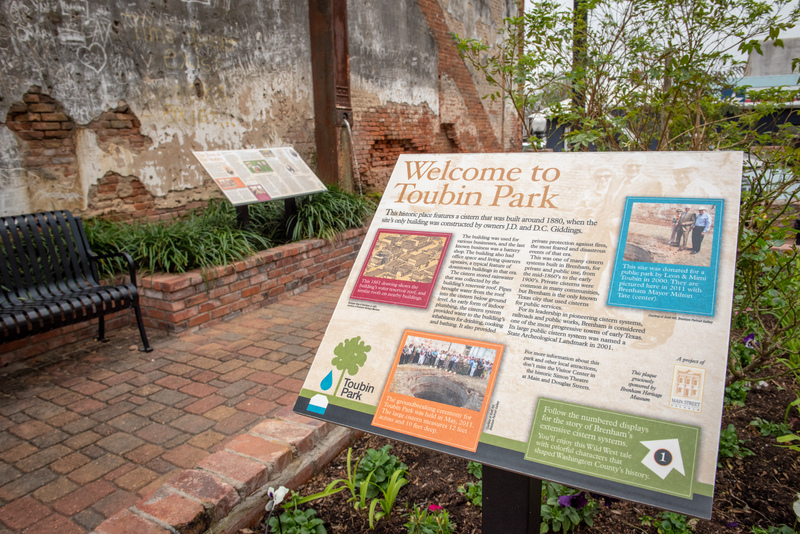 Brenham welcomes geocaching practitioners (the visitors center offers a “Geocaching Passport” with a points challenge to foster local exploring). All weekend, geocaching teams explore local treasures, including a Friday swarm at Blue Bell Creameries (1907), long Brenham’s most iconic brand and weekday tourism draw. 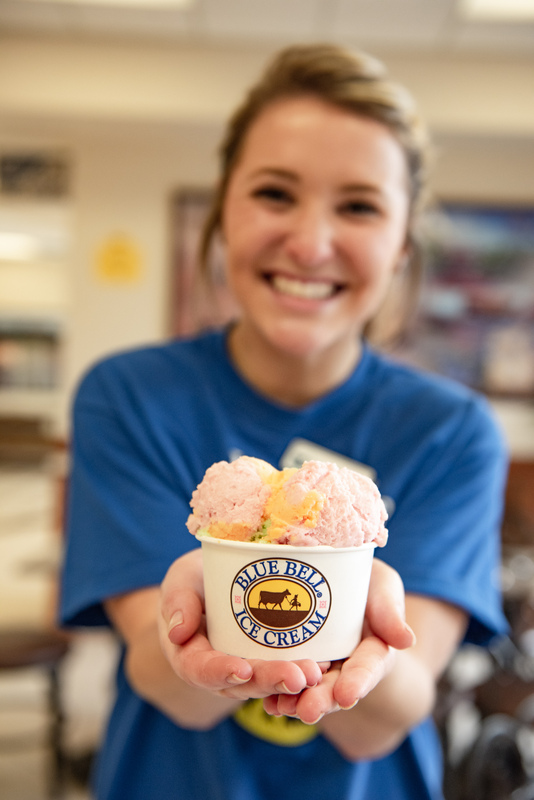 During spring break, the creamery can get 2,000 to 5,000 visitors a day. The city was working to decrease its tourism dependence on the Blue Bell brand before a listeria crisis in 2015 nearly swallowed the company, shuttering its plant. The Antique Rose Emporium was created from hardy rose cuttings taken from overgrown sites and cemeteries. Matt also shares a quirk that Texas Parks & Wildlife readers will appreciate: Each first Friday in November is a no-activity company holiday, called “Maintenance Day,” which just happens to coincide with the opening weekend of deer season. Brenham has more in its bowl than ice cream, however. Outside the Today and Yesterday shop on West Alamo in town, a woman in a pink embroidered Mexican dress sings and plays Love Is a Rose on her guitar. Passers-by listen and chat between songs. She doubles as town guide between tunes. 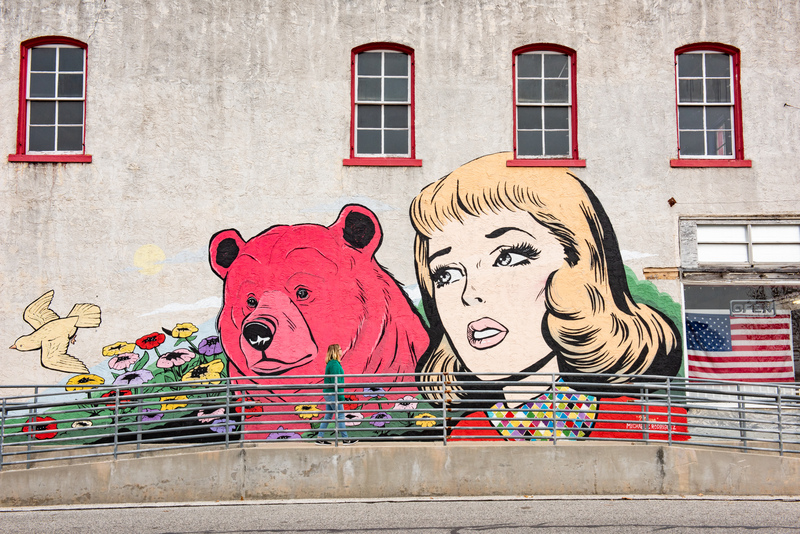 The annual three-day Texas Arts and Music Festival, held in October, has injected life into the music and arts scene, including 18 (and growing) bold murals painted on downtown buildings by guest artists. In 2017, mural painter Jeff Soto of California added two enormous whimsical owls on the back wall of the J.H. Faske Company building. Increasingly, the well-lit creatures come under the scrutiny of other night owls enjoying new evening options in town. Home Sweet Farm Market owners Brad and Jenny Stufflebeam are integral to the Brenham evolution. After starting a local farm-to-market service, they opened a South Park Street storefront, stocking its refrigerators with artisanal meats and cheeses. Washington County is ripe for wandering, and that tops the next day’s agenda. Wind chimes dance softly along to mellow instrumental music at the 8-acre Antique Rose Emporium 12 miles out FM 50. A young Houston man with an umbrella shades his infant child, snug in a carrier on his chest, as they navigate cascades of color from flowering plants that flow about like rivers. And, of course, roses are everywhere. Shoup turned to native plants and developed a new passion. Searches of desolate, abandoned, overgrown sites and cemeteries, where hardy old garden roses survived and thrived, ensued. Taking cuttings, he developed a whole new world of old time-honored roses, versatile and full of robust aromas. Shoup’s eyes light up as he talks about the coming of spring. Driving along seas of spring bluebonnets, it’s hard to fathom the norther that was tearing at the 59 delegates assembled to sign the Texas Declaration of Independence on March 2, 1836. Each March, ceremonies mark the “Birthplace of Texas” at Washington-on-the-Brazos State Historic Site, about 14 miles outside of Brenham. Festivities at the site, which served as the capital of the Republic of Texas, include historical re-enactments and craft demonstrations. The trails — peppered with exploding buds of trees, grasses and wildflowers — trace that history. Visitors can take a walk to the pecan tree known as La Bahía Pecan, born about 1830, which became a witness to Texas’ independence movement. 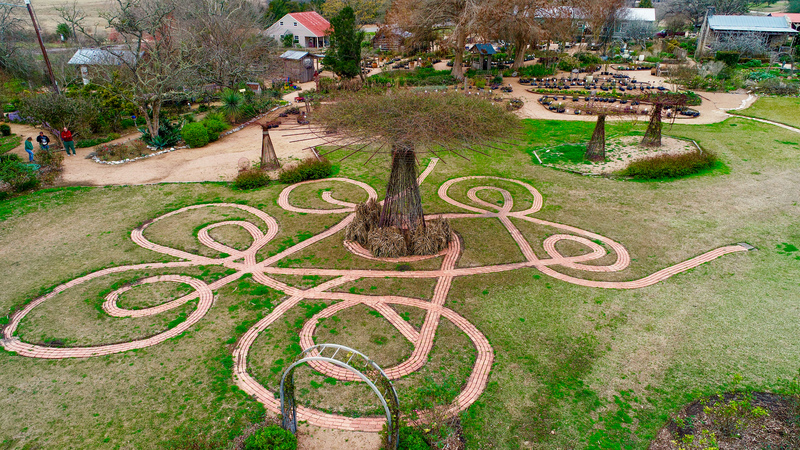 This region is ripe with museums to suit almost any taste, focusing on the Texas Republic, cotton gins, firefighters and religion — and other quirky attractions, such as a lavender farm with baby goats. Debbie McDowell stands on a hillside with a view of the 23 acres near Brenham she and husband Jim settled on when they moved from Houston in the late 1990s. The McDowells began a trial-and-error odyssey, birthing the Chappell Hill Lavender Farm. With the aid of Texas A&M University horticulturists, they developed a lavender farm where there really shouldn’t be one. McDowell makes lavender products she sells in her Lavender Patch store, and peaches, pears, figs and blackberries now complement 4 acres of lavender (visitor cuttings don’t really start each year until late summer). So much wandering leaves the soul yearning for some culinary happiness. 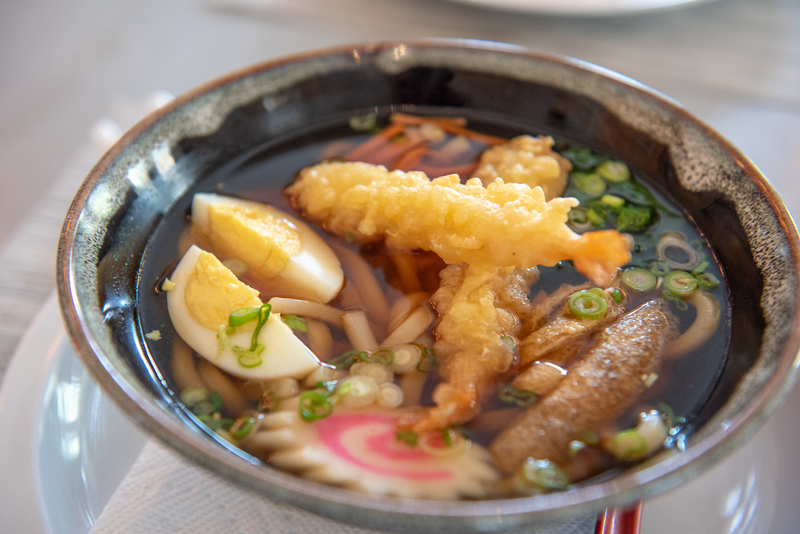 For Katy-born owner Kay Briscoe, eclectic Asian-fusion food (with some Southwestern and American fare sprinkled in) is only part of the story at Kay’s Cuisine for the Soul on South Market Street. Briscoe worked in California retail before moving back to Texas, settling in Brenham and opening her place six years ago. The simple, enhancing decor at this converted Craftsman-style home exudes warmth. What she calls “goods of unusual character and quality” — from elaborate Turkish lamps to one-of-a-kind jewelry she finds during her travels — are displayed throughout. Oh, by the way, the pork dumplings are divine, and the Angus steak Asian stir fry delightful. Kay’s Cuisine provides another pleasant weekend surprise. For Brenham visitors, it’s a road getting more traveled all the time.